Enjoy a delicious Kölsch beer or a glass of wine from our Mercure wine list in our stylish hotel bar, which is open daily from 5pm to midnight. We also offer light Mediterranean and regional dishes. Treat yourself! As usual, very friendly staff. They make staying in this hotel a pleasure. Overall a great time, the staff were very welcoming and the room and hotel clean. Please take the following as suggestions for improvement rather than criticism, as they are all minor: There was still building work ongoing resulting in loud noises during the day but generally quiet at night. Was in a room with a missing internal door resulting in noises from the hall getting in. Bathroom was clean and water always hot when required. Requested an extra towel which arrived promptly but was taken away the first time the room was cleaned. Breakfast has been improved and the baked beans were hot. The juice dispensers aren't brilliant however and takes an age to fill up the cup plus sometimes the toaster was busy (maybe consider a conveyor toaster?). The taste and variety of the food on offer was great. We only needed a place to sleep on our trip through Germany and this hotel lived up to its promise. Clean , quiet and efficient! As it is usual in many hotels, the full air-co is only possible in Summer. The issue is that the rooms are kept far too warm to be comfortable, and opening the window completely is not an option (it keeps on closing). The mattress needs to be changed already, it is so old that being a queen size bed, the bar in the middle can be felt (and suffered), and being used mostly for single stays (I guess) one side is noticeably worse than the other. This is a 4 star hotel, so I do not understand the delay in changing it. I have been fortunate enough to stay at the mercure every other week for several months now. The one thing that sets this hotel out above all others, the people. Every single person that works for the hotel the front desk, the bar/restaurant staff are so nice and friendly. Not just to me, but I have watched them with other people. Nothing is too much trouble. Recently I needed to stay for 3 nights but could only book 2 because the hotel was full. On arrival I asked if a note could be made that if a room was available then could I have it. Without asking again, a room was made available. I travel often with two colleagues. Everybody in the hotel knows our names. Thank you for making a stay away from home a little bit better. John C.
It was good, but they didn’t replace the fridge, coffee and bathroom’s stuff on the second day. We need to ask on the reception and they didn’t replace everything in the fridge. it was a bit far away but overall good. 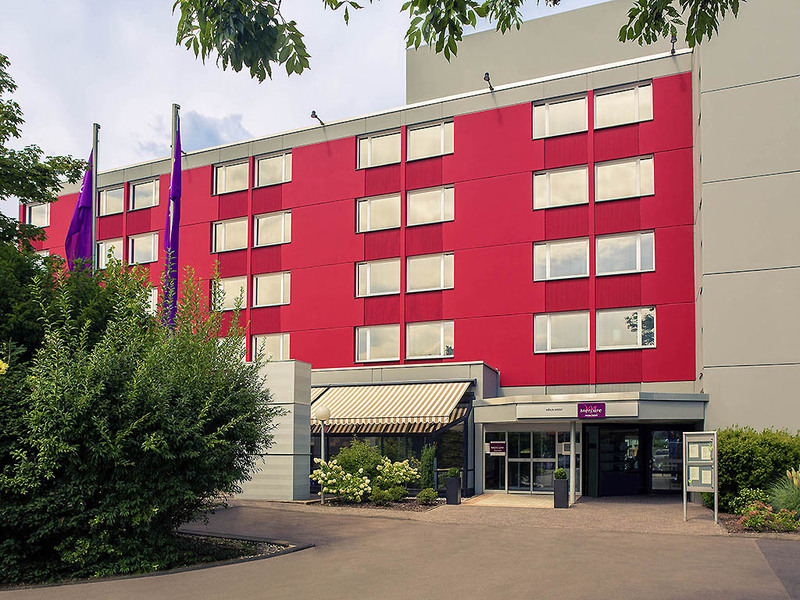 We spent 5 nights at the Mercure Koeln-West. This followed a pleasant stay last year and we were not disappointed this time either. My wife is disabled and we were able to book the disabled room. The bed was high enough and comfortable, the bathroom accessible. Booking, checking in and checking out were pleasant experiences, we ate 3 times in the restaurant and felt well looked after by Edy and Verena, both very friendly and welcoming. The breakfast experience alone needs a few tweaks. There was dust under the desk in the room. We had a pleasant stay at Mercure Cologne West. We stayed in a standard room and it was very comfortable. The room was spacious, bed comfortable and bathroom clean and comfortable. Our only complaint is that the standards didn't quite seem to be up to four-star standards. It was perfect for us, the price was great and we had a great stay, but we would suggest a 3* or 3.5* rating as more appropriate. Very friendly staff! Good transport to the city and very clean rooms. The only thing we can say is that they came a lot of times knocking on our door for cleaning. But I would definitely recommend this hotel! except for a problem with the access to the parking (gate blocked) the stay was up to my expectations. Very friendly staff (from the reception to the breakfast team). Well done! Good stay with a complimentary room upgrade that was a very nice touch. The bed was not comfortable as was too hard / too firm. Did not have a comfortable night sleep on any of the 5 nights I stayed. In addition, the room was very stuffy - when I put the air conditioner on, there was only hot air blowing out. This made the room more stuffy. So, had to sleep with the AC off and window closed (because of the noise), which made the room very uncomfortable. Wished that the AC was working properly so could cool the room. I have to stay again for 5 nights from 24/02/2019 and here's hoping that this can be a more comfortable stay.